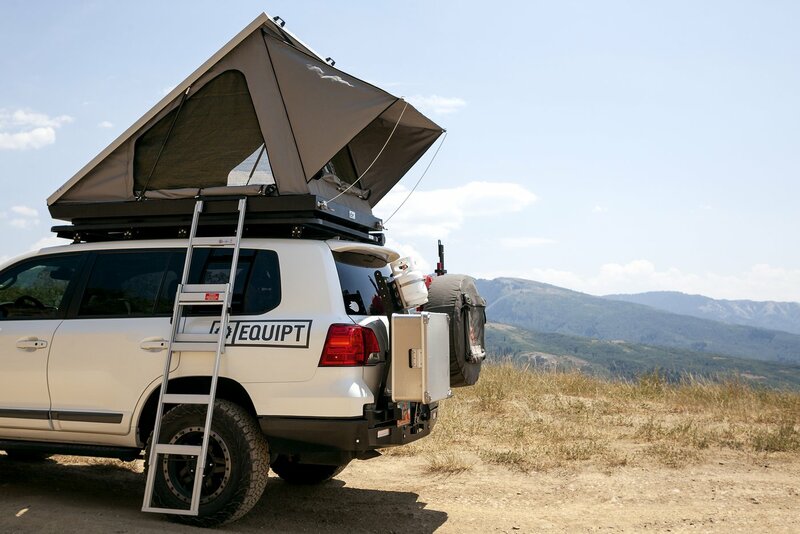 If overlanding had a pop-culture magazine, hard shell tents would be plastered all over the front page. 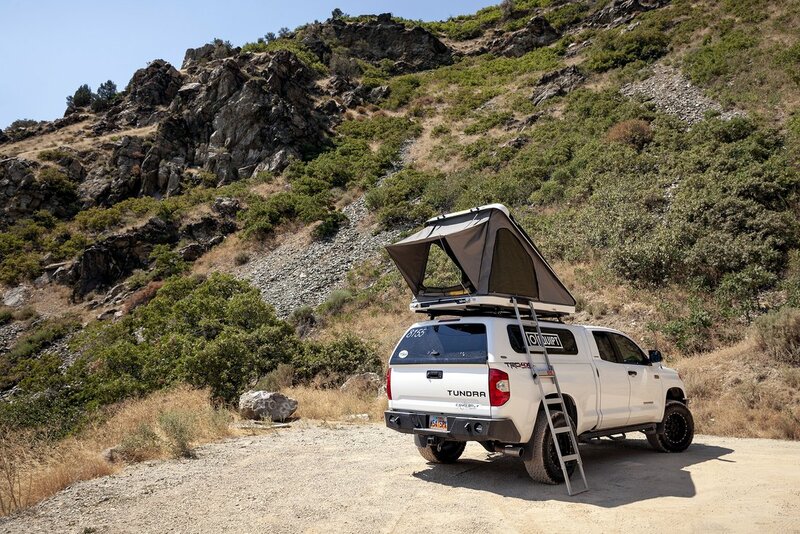 These quick to deploy, easy to stow sleep systems are all the rage right now, and we continue to see newer and better models released every day. 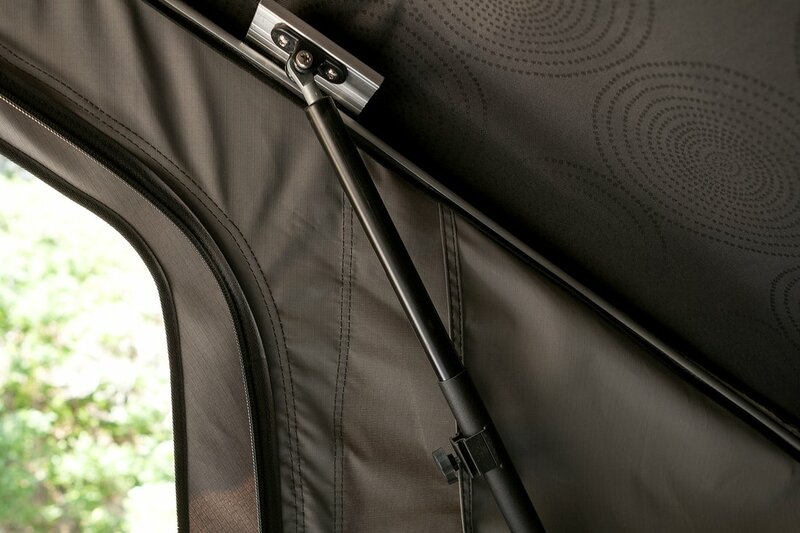 The latest comes from legendary tent manufacturer Eezi-Awn, and they’re called the Blade and the Dart. 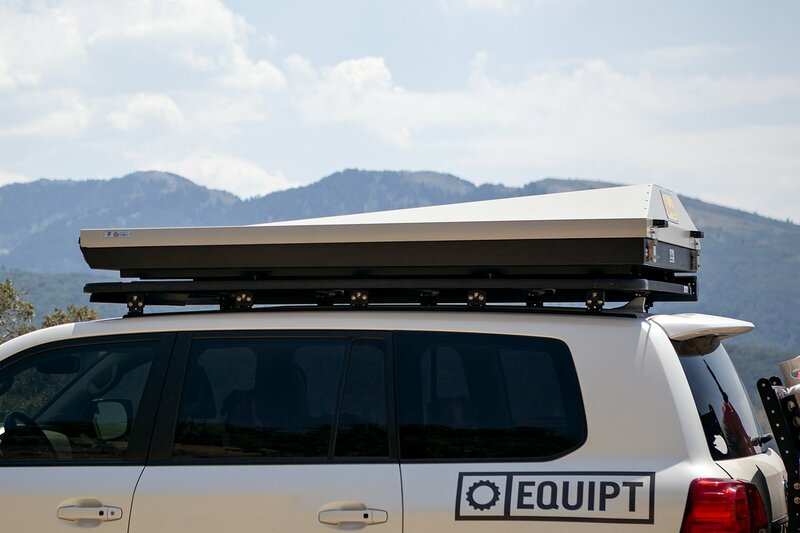 After the success of their Stealth model, the South African-based company decided to unveil these two additional options for customers looking for different features and price points. The Blade is extremely similar to the Stealth, but with a few key differences. 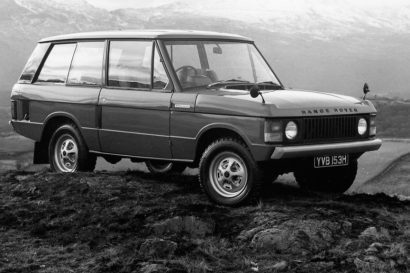 The biggest is that the Blade hinges as a wedge on one end instead of the four scissor-lift struts used on its big brother. 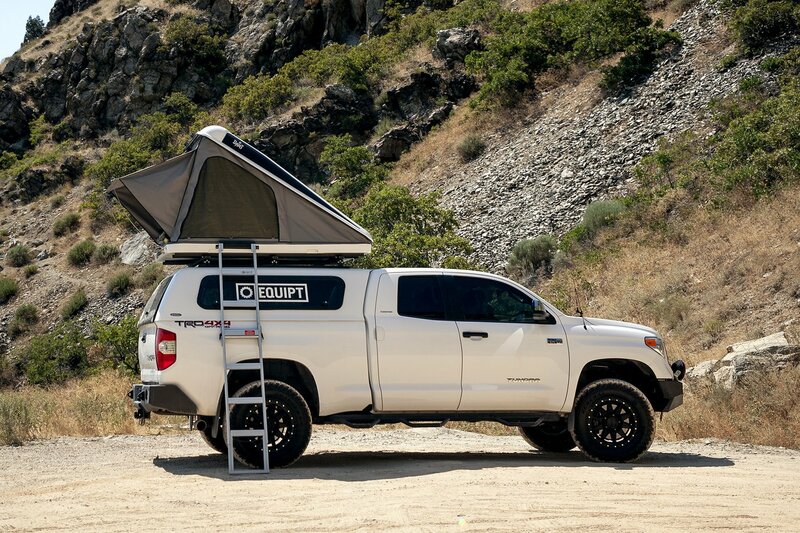 This reduces weight, but also foot room. 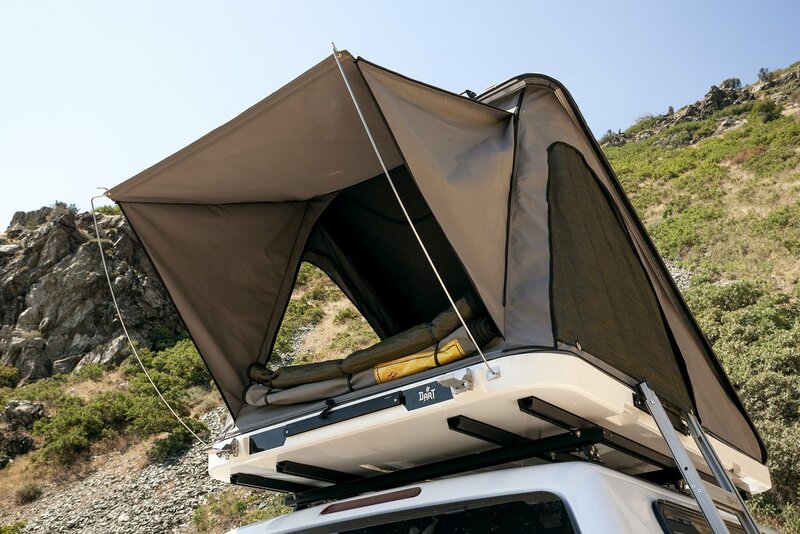 The Blade also packs an attractive two-tone color scheme and a ladder that can be stored inside the tent instead of underneath the shell. 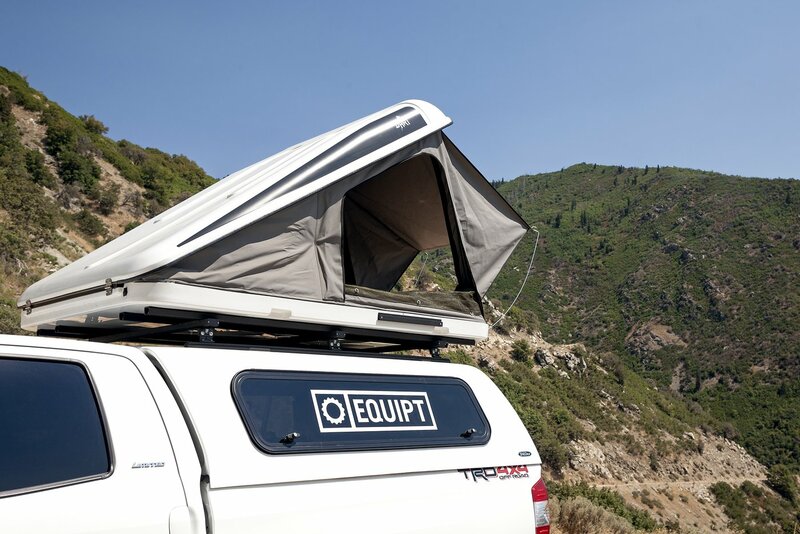 The bedding can be stored inside as well, and the tent walls are constructed from the durable rip-stop canvas you would expect from Eezi-Awn. 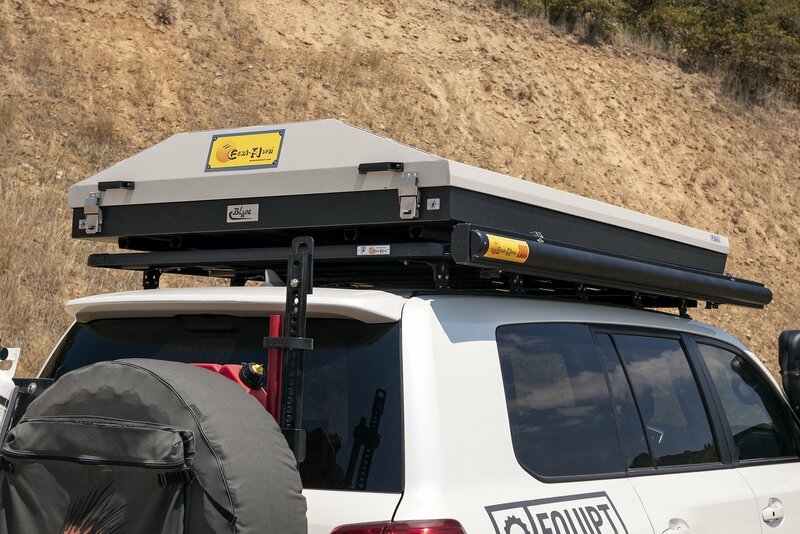 The roof and floor are insulated against whatever weather you throw at them, and the entire shell is made from powder-coated aluminum for corrosion resistance. MSRP is set at $3,700 USD, and more information can be found on the Eezi-Awn website here. 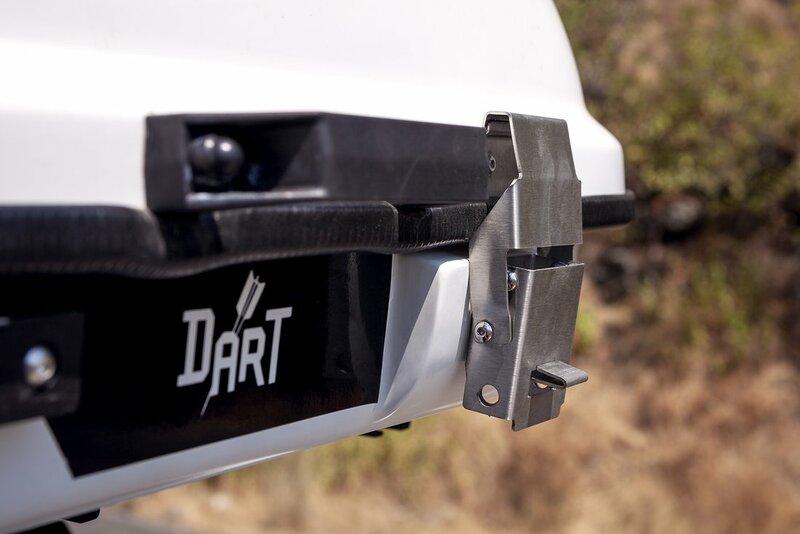 The Dart is the most affordable Eezi-Awn hard shell yet. 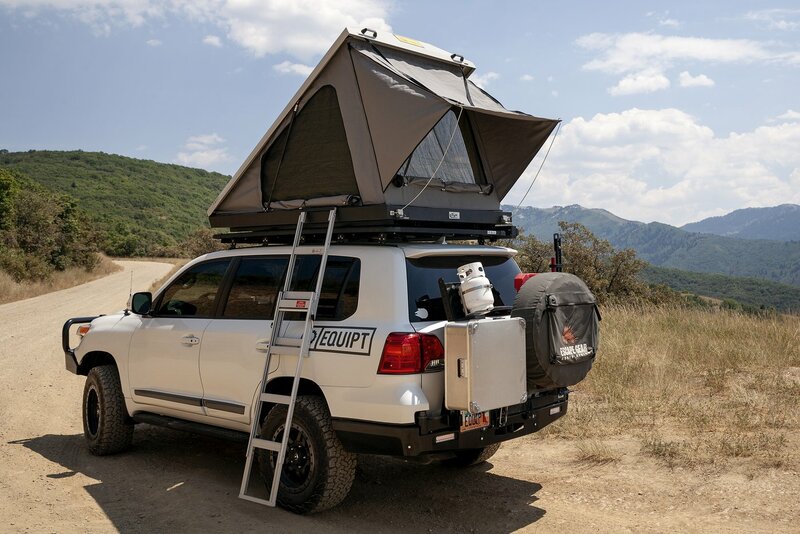 It retails for $3,400 USD and is the company’s first foray into fiberglass tents. Don’t let that fool you though, because it looks to be just as high quality as their other products. 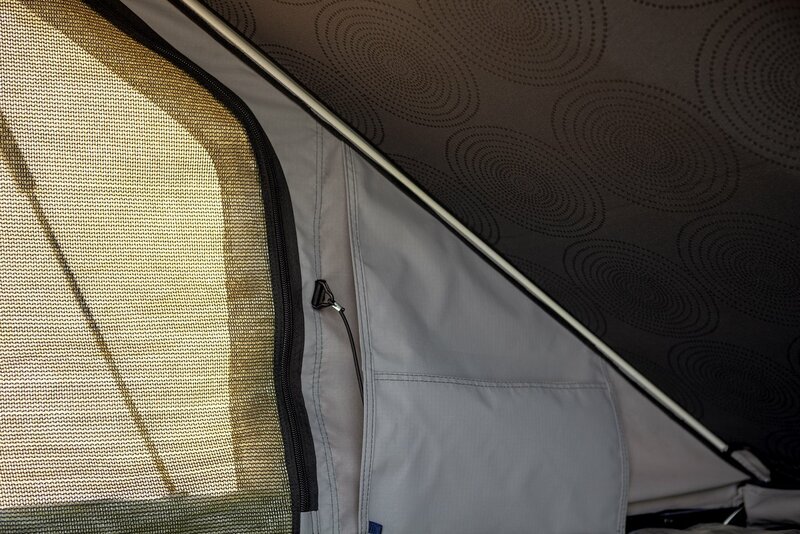 Like the new Blade, the Dart is a wedge-style tent with two front hinges for an easy opening and closing experience. 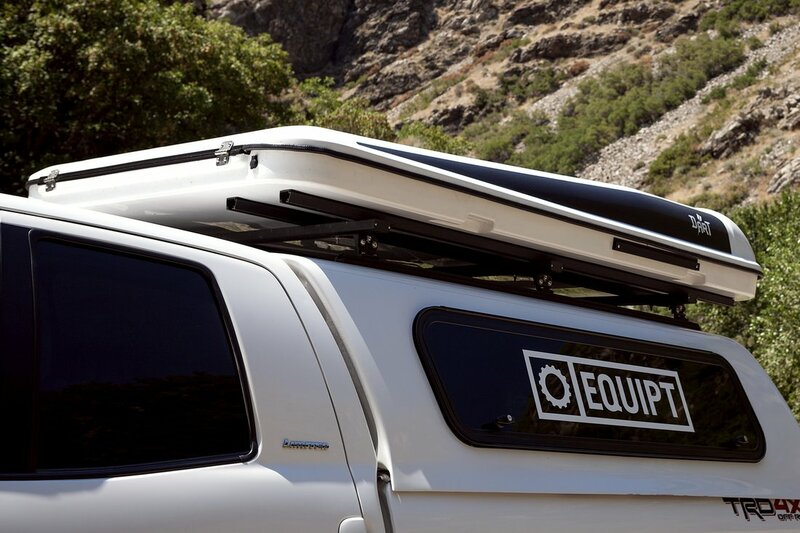 It also features the same ripstop canvas fabric, mattress, 12V power outlet, ladder, zippers, and more. 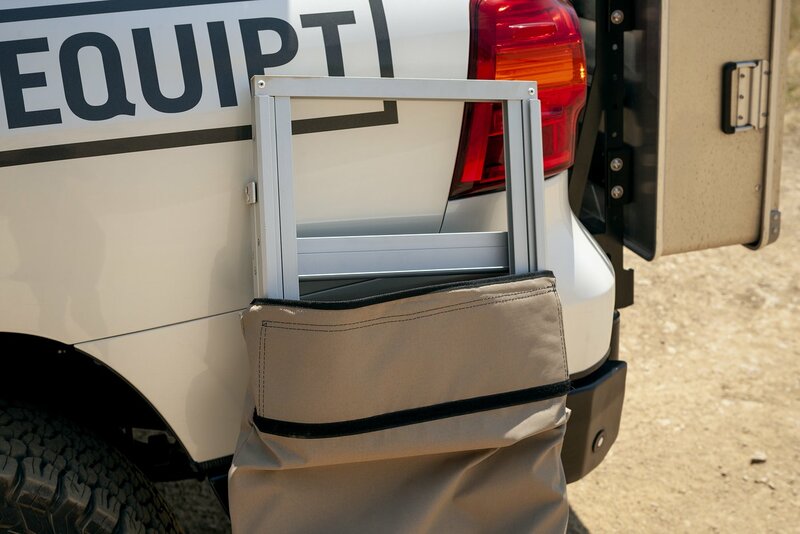 The fiberglass shell is insulated for temperature management in both hot and cold conditions and is coated in a UV protective layer to ensure longevity even when left on the roof of your vehicle. 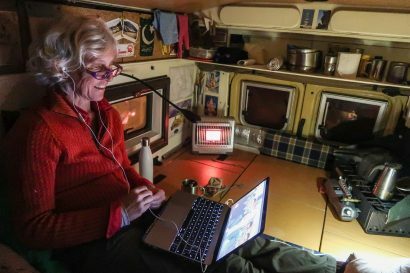 The Dart comes preequipped with an internal National Luna LED light, two storage pockets, and three entryways with privacy mesh. To learn more, visit the Eezi-Awn website here.